We are all sisters and brothers. As children of God, we belong to one huge global family. Our faith teaches us that what happens to one of us, affects all of us. 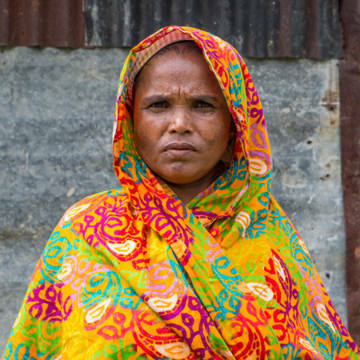 Jamal is an agriculture expert in Bangladesh, who works with families on the very edge of existence. At the moment, however, lack of resources means he cannot help Mahinur and her husband Khalek, whose story we have followed in previous reflections. At CAFOD we have to turn down one in three requests for help because we simply do not have enough funds to help them all. Mahinur and her family are the one in three. Our faith calls us to feel compassion for others, especially those who seem beyond reach. Knowing that any of our brothers and sisters are struggling, means that we are struggling too. On this Family Fast Day we have an opportunity to make a difference to the lives of more people like Mahinur and Khalek throughout the world, people who seem out of reach. What will each of us do today? Share our Family Fast Day prayer with others and say it before meals today. Today is Family Fast Day. Eat simply and give the money that you save to help people like Mahinur around the world. Your generosity is a lifeline for women, men and children all over the world.